At any given moment, you can search any major medical database and find (at least) a 1000 times more information on conventional medicine than complementary alternative medicine. Nevertheless, all types of complementary medicine are practiced regularly throughout the world. Even in the United States, a pillar of Western thought and medicine, according to 2007 National Health Survey, 38 percent of Americans engaged in mind-medicine, energy medicine, massage, naturopathic medicine, and countless other forms of complementary alternative medicine. Reiki is the ritualized medical practice of "laying hands." Albeit, a lot more low-key than the stereotypical evangelical practice of laying hands, Reiki nevertheless involves the transfer of energy with the practitioner as a conduit. Purportedly, this universal energy or ki has healing effects. During a Reiki session, a holistic healer will focus on unrestricted breathing and apply hand movements to your fully clothed body in a relaxed environment. Reiki has a strong following among many people who practice integrative medicine. It is usually used to treat stress. We know little about Reiki and other types of complementary alternative medicine, yet so many people enjoy and benefit from it. It's difficult to tell somebody—especially an adherent—that Reiki, a form of energy medicine, is fake. Furthermore, if you are a Reiki practitioner, then more power to you; it works in some way for you. The mind-body connection is infrangible and strong. The current studies out there on Reiki are mostly low-quality, low power, and riddled with bias. Furthermore, it's difficult to determine how to measure the effects of Reiki; researchers have looked at depression, satisfaction, well-being, anxiety, and more. In academic reviews on Reiki, some researchers realize that although it's evident that we have no evidence that Reiki works, it's impossible to rule in the null hypothesis and simply conclude that Reiki does nothing more than sham treatment. However, it's unclear how to exactly rectify this problem—how to design a study that actually tests the very personal experience and benefit of another person laying hands on you. We do know that spirituality means a lot to many people who are sick. Patient spirituality and support improve health outcomes including cardiovascular outcomes. Furthermore, the healing power of touch is an empathetic and personal interaction with numerous tangible health benefits. Specifically, a growing amount of research on osteopathic manipulation treatment links touch with healing. Mechanistically, it figures that Reiki and many other types of touch therapy could mediate the release of neurotransmitters like reward-processing dopamine and oxytocin. Ultimately, if you believe that Reiki works, and you want and can afford to make Reiki (or any other safe complementary alternative medicine practice) a part of your life, then you should. Even skeptics of such intervention would have trouble denying that, at the very least, Reiki confers placebo effect in those who believe. While doing research for this article, I noticed that a 2013 Cochrane review on touch therapy had been conspicuously withdrawn by the publisher. At first, this decision made me suspect, but after learning more about Reiki, I am no longer rankled by this discovery. Although we definitely need more research on the subject, with the little low-quality research that we do have on Reiki, maybe an overarching meta-analysis is premature. We're still at a point when it may be good to look at case studies and retrospective accounts in order to flesh out future research questions and come up with hypotheses that might have legs. Jonas WB, Guerrera MP. Complementary & Alternative Medicine. In: South-Paul JE, Matheny SC, Lewis EL. eds. CURRENT Diagnosis & Treatment: Family Medicine, 4e. New York, NY: McGraw-Hill; 2015. Krucoff MW, Costello RB, Mark D, Vogel JK. Chapter 115. Complementary and Alternative Medical Therapy in Cardiovascular Care. In: Fuster V, Walsh RA, Harrington RA. eds. Hurst's The Heart, 13e. New York, NY: McGraw-Hill; 2011. MS Lee and co-authors from The International Journal of Clinical Practice. 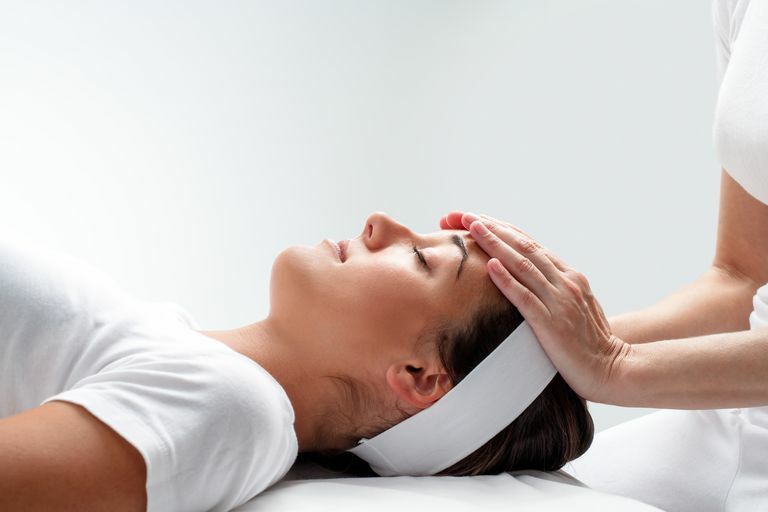 "Effects of Reiki in Clinical Practice: A Systematic Review of Randomized Clinical Trials." 2008.